PRI is looking for special process subject matter experts and quality professionals to engage as independent contractor Auditors to support our global industry managed programs. Thank you for your interest in contracting with us as an Auditor for our industry managed programs. PRI is trusted by key manufacturers in industries such as aerospace and medical devices to improve process and product quality across their supply chain. 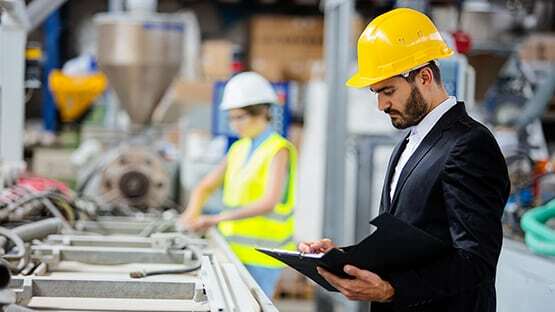 To do this, we need subject matter experts with the qualifications, experience, and knowledge to conduct audits of critical manufacturing and special processes around the world. You can find out more about PRI and our programs on this website. As an independent contractor, PRI provides the security of steady work combined with the flexibility to pursue your other business interests and the opportunity for travel. An overview of the different positions is provided below. To learn more or apply, please click here or if you have any questions, please contact Jennifer Eckels. Nadcap Auditors play a vital role in the success of the program and are an integral part of the audit process. Their technical proficiency and auditing expertise is respected throughout the global aerospace industry. MedAccred Auditors play a vital role in the success of the program and are an integral part of the audit process. Their technical proficiency and auditing expertise is respected throughout the global medical devices industry. Maintain your independence – as independent contractors, MedAccred Auditors organize their own schedules, working only when they choose. Opportunity to stay active within the medical devices industry and participate in an influential industry program. Travel the world – MedAccred Auditors have the opportunity to travel the world and experience dynamic new cultures as they conduct audits. TPG Auditors play a vital role in the success of the program and are an integral part of the audit process. Their technical proficiency and auditing expertise is respected throughout the global transportation & power generation industry. Maintain your independence – as independent contractors, TPG Auditors organize their own schedules, working only when they choose. Opportunity to stay active within the transportation & power generation industry and participate in an influential industry program. Travel the world – TPG Auditors have the opportunity to travel the world and experience dynamic new cultures as they conduct audits. Being an eQuaLearn instructor involves teaching course material to groups of adult students, who are typically already working in industry, through PRI’s eQuaLearn professional development program. Classes are held around the world. Being an eQuaLearn course developer involves working with PRI staff to create course material for the classes which form part of PRI’s eQuaLearn Professional Development program. Subject matter experts with multi-industry experience i.e. aerospace, automotive, medical, nuclear, oil/gas etc are in particularly high demand. To learn more about becoming an independent contractor for the eQuaLearn professional development program and the opportunities we currently have available, please click here or contact eQuaLearn@p-r-i.org. Use your aerospace, special process and manufacturing/engineering skills to help develop personnel by sharing your expertise and supporting the eQualified program with the creation of industry-managed special process Bodies of Knowledge (BoK) and assessments. As an eQualified Content Developer you will be directly developing content for special process BoKs and assessments both written and practical. This may include researching topics to include in the BoKs and assessments, verifying the technical accuracy of information and participating in industry teleconference meetings. You will be partnering with an established, high profile global company with the flexibility to work from home and manage your own schedule. To learn more about becoming an independent contractor for the eQualified program and the opportunities we currently have available, please click here or contact eQualifed@p-r-i.org.